i don’t know about you but i love the smell of books – especially if they come fresh from a bookstore! 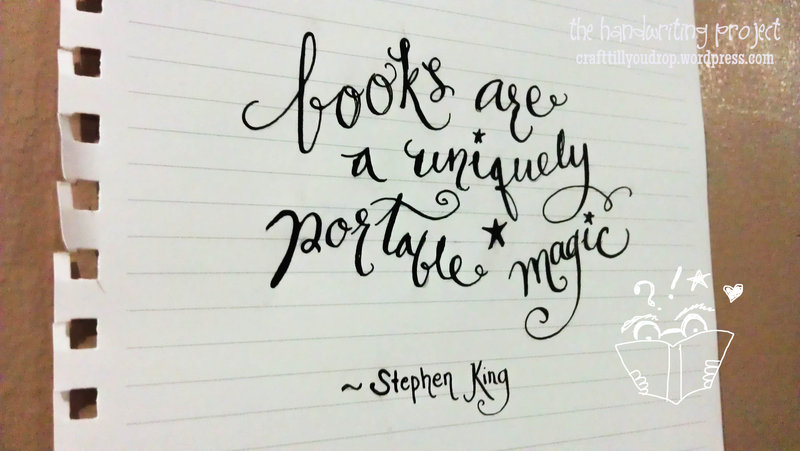 but more than that, books draw me in because of stories factual or fantasy. reading allows me to getaway without getting away, relate with people without creating relationships, feel emotions without having any real emotional baggage. now let’s get to my lettering for the day. do you notice my letters have slender strokes now, making my words appear less stouter. how do you like it so far?